Cal head football coach Justin Wilcox has undeniably changed the culture and direction of the program he inherited 12 months ago. Although the Bears finished just 5-7 in the opening chapter of the Wilcox era — the same record attained in predecessor Sonny Dykes’ final season — Cal made significant progress in a number of key areas across the board. 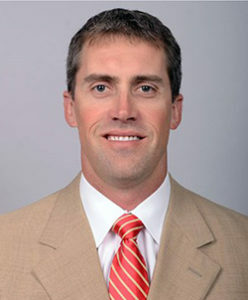 Given the late timing of Wilcox’s hire and the coach’s lack of fear (evident when he proclaimed that the Bears expected to beat No. 5 USC during a postgame press conference) it’s safe to say Cal should be at least partially satisfied with the script Wilcox wrote in chapter one. Coming off of marked improvements in 2017, including in conversion percentages and tackling in the open field, Wilcox recently finalized his coaching circle. Two key additions to the staff include Peter Sirmon, who will act as the associate head coach and inside linebackers coach, and Burl Toler III, who will be the running backs coach. As signing period nears its conclusion and the first day of spring practice inches closer, the road to the next chapter starts now. Every head coach or manager takes into account the wisdom and support — along with the reprimands — of their top assistant or associate coach. Last week, former Louisville defensive coordinator Sirmon was announced as Cal’s new associate head coach, a position that wasn’t formally filled last season but was primarily handled by offensive coordinator Beau Baldwin. Having spent three previous coaching stints with Wilcox, paired with leading a Louisville defense last season that deployed a 3-4 approach identical to the one that the Bears utilize, Sirmon instantly provides Cal with another defensive-minded leader. In his welcoming press release, Sirmon noted that he and Wilcox are “like-minded in what (they) believe,” with the head coach echoing his new wingman’s shared goals. In addition to Sirmon, Toler — a former collegiate target of Aaron Rodgers at Cal — announced his return to Berkeley as the team’s new running backs coach. 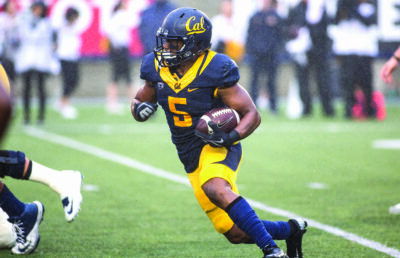 After an extended stint in the NFL as a player and a three-year run with the Cal coaching staff from 2013-15, Toler is back for round three, this time dealing with tailbacks in the backfield rather than slot receivers or deep threats. Toler inherits a group that recently received the news that oft-injured Tre Watson intends to transfer, but he will retain redshirt junior star Patrick Laird, who rushed for 1127 yards and nine total scores. 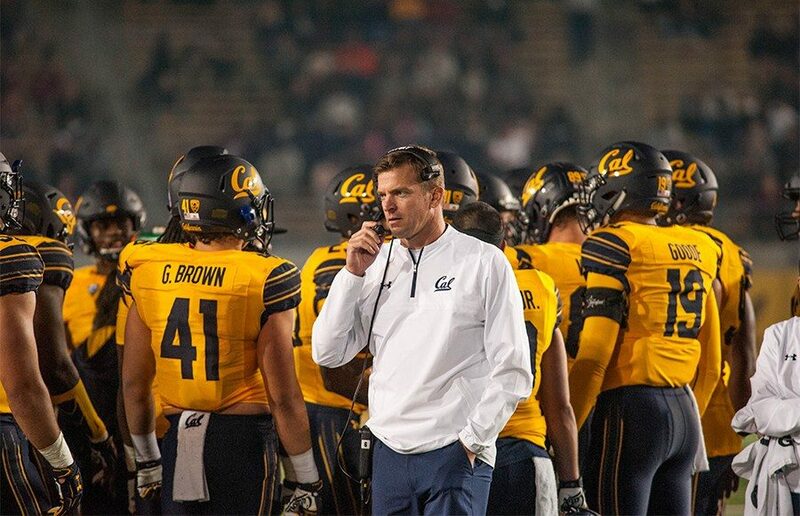 Adding Sirmon and Toler to the staff allows Baldwin — who remains at Cal despite rumors that he had accepted coaching offers at various locations — to focus on the Bears’ inexperienced tight end group, in addition to his role as offensive coordinator. Down the line, this move frees ups last year’s tight ends coach and special teams coordinator Charlie Ragle to work exclusively with special teams, a group that is set to lose star placekicker Matt Anderson. With the losses of stars James Looney and Devante Downs, among others, defensive coordinator Tim DeRuyter has a tough task at hand, even after an admirable job working in conjunction with Wilcox last season. With Sirmon on board, DeRuyter will share defensive strategies with another like-minded personality. Once again, it remains to be seen who will be under center for Cal come autumn. Leading candidates include last year’s starter Ross Bowers, transfer Brandon McIlwain (as the fourth different starter in four seasons) or perhaps even a dark-horse candidate. Quarterbacks coach Marques Tuiasosopo enters his second year facing arguably the biggest uphill challenge of any Cal coach — attempting to keep his quarterback producing numbers in line with the rest of the Pac-12’s agile gun-slingers. The beginning of an era is rarely smooth or flawless at its very root. 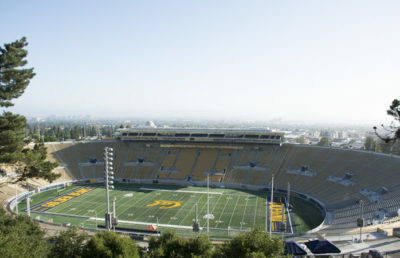 Cal football is no exception, having endured two coaching changes in the past five years and appearing in a bowl game just once in the last six. Some “eras” lose their welcoming flavor and appeal after a few seasons and eventually rot away, while others flourish and establish a rhythm of consistency that is often taken for granted.